Our DevOps Course has over 95% pass rates. You will be given everything you need to sit and pass your Foundation exams (which is also included). 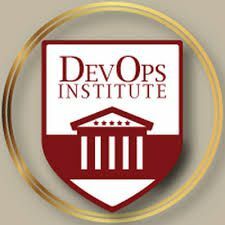 Our online DevOps courses are accredited by DevOps Institute and offers so much more than online training.You can sit for the online Foundation exam online at home or in your office using your laptop/computer with a stable internet connection, a web cam and microphone at any convenient time. Let us know when you are ready to book your exam and we will arrange this for you. Your tutor provides support all the way through and will suggest when you are ready. You must pass the PRINCE2 Foundation before you can sit the PRINCE2 Practitioner examination. You have sixty days’ online access to this course. DevOps is the cultural and professional movement that stresses communication, collaboration and integration between software developers and IT operations professionals. Many businesses now recognize they need to innovate quickly to survive. Technology can deliver competitive edge, and the pace of change is increasing constantly. DevOps increases business value by improving flow and delivering better software, more quickly. All our DevOps training provides practical tools and techniques to help you get started with DevOps in your organisation. Organizations need to understand and increase the flow of work, from left to right. This is a way of describing the flow of work from the idea through to production or releasable code. If we can improve flow by reducing or eliminating bottlenecks or constraints, we can deliver value more quickly. Organizations need to create shorter feedback loops that enable continuous improvement.The faster we can identify improvement opportunities or fix issues, the less impact there is on the development process. The cost of correcting something increases the further through the development process it goes. Organizations need to create a culture that fosters experimentation, with a willingness to take risks and learn from failure.Don’t be afraid to fail, but fail fast, recover and move on.Culture also needs to accept that repetition and practice are essential for mastery of any activity.
" "Amazing trainer. He explained all issues simply and made the whole training process fascinating. I passed with the highest marks I have ever had in any exam." "